SVSC provides excellence in outpatient surgical care within a customer-focused, service-oriented environment. We strive to live up to our core values of Service Excellence, Teamwork, Accountability and Integrity. At Susquehanna Valley Surgery Center we recognize that you have a choice when it comes to your healthcare provider. That's why we want you to be as relaxed and informed as possible about our surgery center. We've created this information-rich website to give you 24/7 access to information about our center. The more you know, the more comfortable we hope you and your family will be with our surgery center. 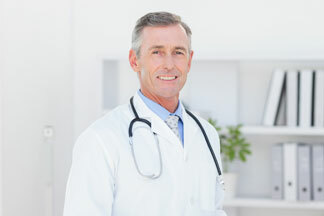 This website contains information about our doctors, location, hours, and more. We believe our website is the best way for you to stay connected to our surgery center and get the highest quality care. On behalf of all the Susquehanna Valley Surgery Center professionals and staff, we welcome you to our surgery center and look forward to helping you and your family preserve a lifetime of good health. Susquehanna Valley Surgery Center is an AAAHC accredited ambulatory outpatient surgery center dedicated to patient satisfaction and care. SVSC opened in May 2000. "Our experience with SVSC was amazing! Thank you for making our daughter's procedure a comforting experience."